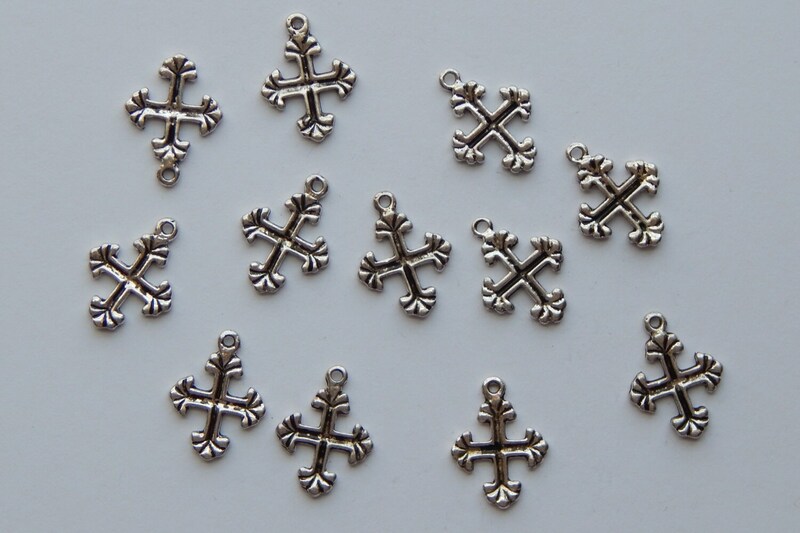 Cross charm / rosary finding is made from silver colored alloy metal, and is lead-free, nickel-free, and cadmium-free. 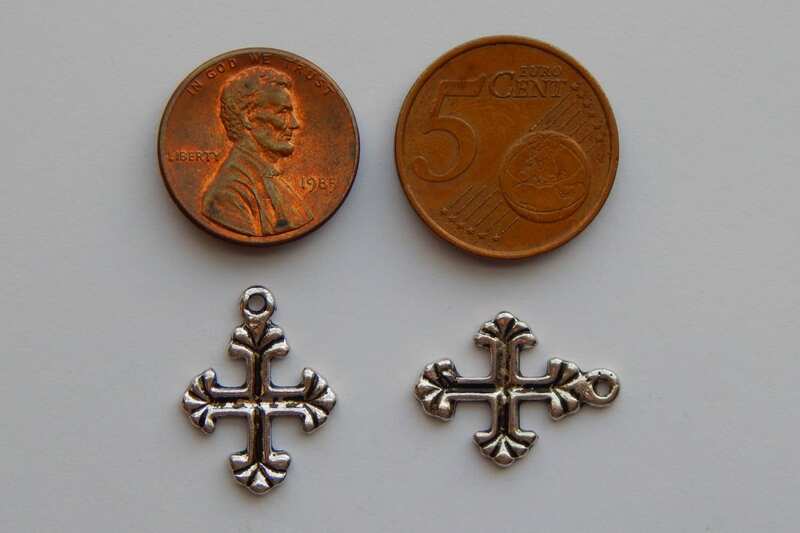 Pendants are double sided, same pattern on both sides. 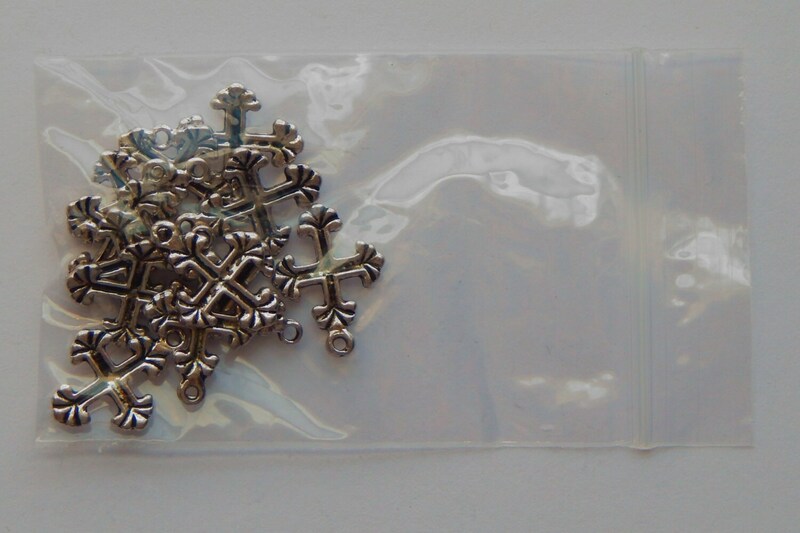 Each piece measures 19.6mm long x 14.8mm wide x 2.1mm thick, and the attaching ring has a hole size of 1.5mm. 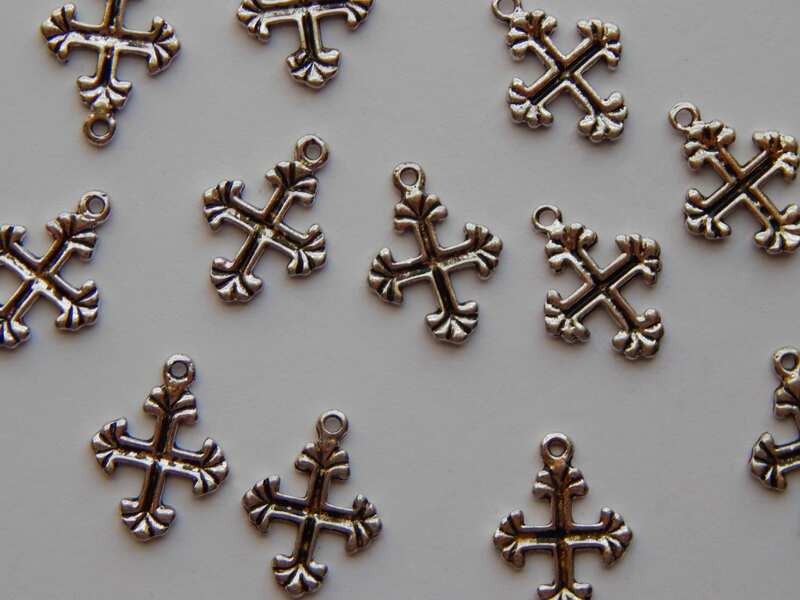 Cross is decorated with flair detail. 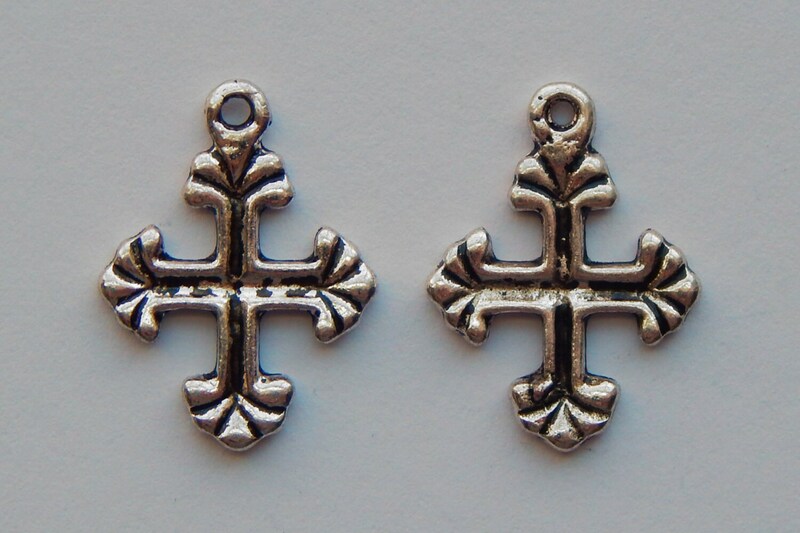 Raised detailing, with flair pattern.